In this day and age, life without a smartphone is unthinkable for most of us. From numerous morning alarms to the daily exercise and meal schedule, everything in a day gets regulated by these ingenious inventions residing in our back pockets. Since their advent in the early 2000s, different apps in the smartphones increased our dependence on technology exponentially and there is no sign of it slowing down. At first, the connectivity was made easiest in the history of humankind. Long distances and high rates of telephonic connections, all these issues found a single, possibly the most practical solution in the form of different apps like, Facebook, Instagram, and the one that revolutionized texting, Whatsapp, now owned and regulated by the Facebook owners as well. 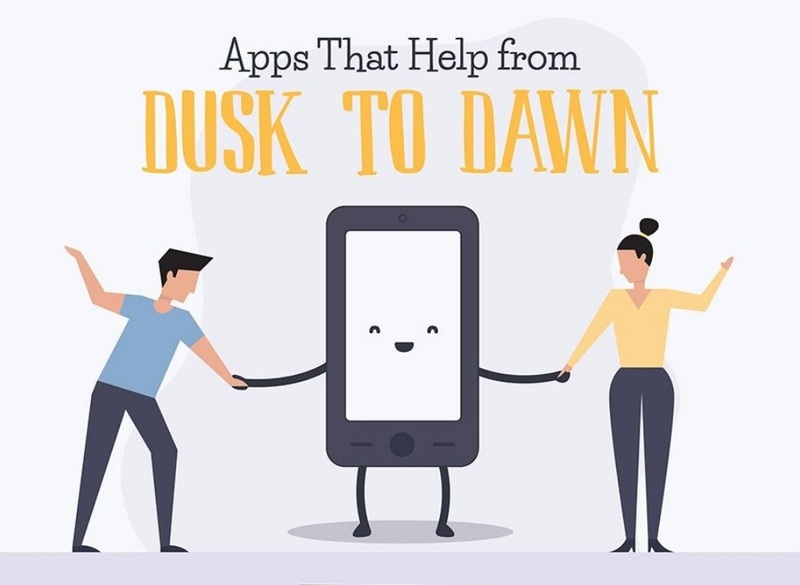 These apps, ranging from health, connection, entertainment, and almost every activity a human could possibly think of, keep us invested in them from dusk to dawn, quite literally. Some are elaborated in the following infographic, which comes courtesy of Swifttechbuy.